The performance of a user interface is of paramount importance - we ourselves have often been annoyed with dropped frames on even the fastest dual-core processors. Many have pointed out that on Android this could easily be solved with full hardware graphics acceleration. But is that really so? Dianne Hackborn working as an Android engineer over at Google apparently had enough reading misunderstandings about the way Android treats graphics and posted a very interesting and informative note on Google+. First, she notes, Android has always used some form of hardware acceleration. But while the earlier versions supported it only partially, Android 3.0 Honeycomb for tablets introduced full hardware graphics acceleration. This allows to leverage the GPU’s resources actively instead of relying on software only. Previously, many of the animations would rely on the processor, so that it took virtually all of the load which in turn compromised other operations where processing power is needed. Now, in Android 4.0 Ice Cream Sandwich the hardware acceleration is “not any more full” than in Honeycomb. It does changes however some nuances, so that in ICS hardware acceleration is enabled by default. Thus, all drawings will be made using the GPU. The post continues to explain why that’s not always a brilliant idea, so don’t hesitate to hit the source link below for all the little interesting details. Regardless of the misconceptions, the UI smoothness on the Android is inferior to both iOS and Windows Phone 7. Fix it. well, terabyte, the only way to do that would be to make android as unfunctional as both iOS and WP7. if you care more about flash and pomp, stay on iOS. if you want the OS to be capable of doing more things at once, then you are going to have to give up a little "smoothness" as that takes up resources just like multitasking does. Buy a high end android phone. They are plenty smooth. And then u also get the added benefit of an open source OS that actually does something other than launch applications. Sadly, you feel that it is impossible to have a smooth UI and still accomplish what Android accomplishes. I, sir, disagree. I've had every high-end Android phone and they all suffer from lag. This lady is making complaints, because they've pretty much painted themselves in a corner and it will take a lot of low-level rework to get themselves out -- much of which may not be an option at this point. And based on your post, you imply that the UI is indeed inferior to iOS and WP7. imply nothing. from a technical and functional standpoint, iOS is indeed very inferior to Android. Thats not a fanboy line, its "functionality vs functionality". iOS is little more than an app launcher. Take away all apps, and what do u have left? Not much. system resources are finite, not infinite. Making that scroll so smooth, the way you like it takes a lot of resources that could be used for other things.. like true multitasking or Flash. super smooth scrolling takes a lot more power than u might think. Some people prefer that 30fps "style" super smooth kinetic scrolling.. and yes its very nice. Me personally, id rather have it running at 15-20fps and save that resource for something more important.. like functionality. Steak over sizzle.. any day of the week. Had to thumb you down. Many times you have good insightful points, but every once in awhile you bring out the Android fanboy in you...this is one of those times. "Take away all apps [from iOS], and what do u have left? Not much." This is a tired argument that is strictly said by non-iOS users. Have you actually owned an iPhone? My guess is no, and if you have, you didn't use the device to its potential. Take away the apps and you still have a cohesive Apple ecosystem of products and services that work extremely well together (FaceTime, iTunes, AirPlay, iCloud, AppleTV, iPad, iPod Touch, Mac). Let's be real, Android is basically an app launcher as well. Ok, you have widgets if you don't want to actually launch the app, but essentially Android AND iOS are nothing without Apps. Don't get me wrong, I LOVE Android for its customization, social sharing, and many Hardware options. I'm just sick of the hate that Apple gets when others appear to blindly say things they've simply read about. Come on, the fluidity that iOS and WP7 have has to do with what you said remixfa, but honestly, the flaws in android have to do with the manufacturers. My Photon was extremely slow with the redesigned blur ui of motorola, as soon as i installed LauncherPro, all the slugishness dissapeared. Same thing happens with the stock browser vs Opera Browser. Android is not laggy since Gingerbread, some apps and Manufacturer UI's are. Plus, between the limited funcionality that is inherent to WP7, and the simplicity of iOS, Android blows them out of the water. Disagree with you remixfa. Disable all the things you want (flash, live wallpaper, all apps in background, location services, etc) and Android still stutters and does not have as fluid a UI as iOS or Windows Phone 7. Google still hasn't answered why it takes the power of a Samsung Galaxy S II to approach the fluidity of its competitors. Dude, take any android phone that has at least a 1Ghz processor. Install LauncherPro, ADW Launcher or TouchWiz 4.0. Use it for 15 minutes. my single core SGS1 runs as fluid as they come against anything except maybe an SGS2 in the android world. Its all about how its optimized. The point Robin made about the manufacturers is dead on. They do tend to not optimize their crap good enough. However I was talking about any android experience, even stock. Though I do have to mention that I'm not running gingerbread by choice. For my particular device (vibrant), the Bionix 2.2.1 ROM is the smoothest, fastest, and most stable rom you can get. When I decided to try to fight my XDA addiction, I went with the best there is to give me little reason to change again... lol. "Take away the apps and you still have a cohesive Apple ecosystem of products and services that work extremely well together (FaceTime, iTunes, AirPlay, iCloud, AppleTV, iPad, iPod Touch, Mac)." **for all of these features you need other apple devices/ apps. For the average user, they wont use more than itunes and maybe icloud. NONE of that except for tunes and cloud are hard wired into the OS functionality.. and cloud was just added. Android has been syncing, merging, voice activating, multitasking, and more for years. The OS itself is a way more powerful tool than naked iOS. Have I used an Iphone? yes. Its my job to know the ins and outs of different devices. Am I more proficient in other OS's than I am in iOS? Yes, of course I am. But my knowledge base covers ALL OS's, not just 1 or 2. So no, when I say "Take away all apps [from iOS], and what do u have left? Not much. ", its not a fanboy statement, though it does come off as one.. its a purely tech statement. If you made a checkmark list of all the base features of android vs the base features of iOS, the android feature list is exponentially longer. Which OS is better is pure preference. Which OS has more features at its core isnt really a discussion. At any one point (for better or for worse) android is always doing more than iOS. Which also leads to system resource drains, occasional jaggies from memory dumps, so on and so forth. Look at all the issues iOS5 has had since they have tried to add Android style functionality to the OS.. Siri is down every other day.. syncing isnt working.. massive battery drains from bad programming. Sounds just like the growing pains android went through 2 years ago. Thumbed you up that time remixfa. Nice comment. :-) I don't think it's fair to say that "**for all of these features you need other apple devices/ apps." Then technically EVERYTHING needs an "app" of some sort to do ANYTHING! Think about it. Really hard. What can you do without an app? What is an OS without apps? ANY OS? Not just phones, but PCs, etc. Take away "apps" you take away the functionality of an OS, and it now becomes a flash storage device. It is not a fact that Android has more functionality than iOS, it is opinion. What is functionality for you is different for everyone else. So according to YOU, Android has more functionality, but there is no way that this can be stated as FACT that everyone agrees with. If you are strictly talking features, you may be on to something, but even then, I would challenge you to say USEFUL or PRACTICAL features. Examples: - To me, having LTE and being able to actually USE it often are two different things. If keeping LTE enabled drains my battery just being on standby, I won’t use it all the time. - Same thing with running multiple apps in the background; having to constantly monitor and kill them because they chew up battery life is not practical (especially for the average user). Agreed with all the new issues introduced to iOS, and your other points, but I wasn't strictly talking about rooting and ROM'ing as a probable solution to why Android lags and stutters natively. That’s like you saying, “Why isn’t iOS customizable?” And I answer it with, “Just jailbreak it.” I still want to know WHY, as others do, Android stutters with or without skins (as proven in the Galaxy Nexus vs video). And not from another commenter, but from an official source like Dianne. Remix. Stop using flash as an excuse. Google programmers admitted themselves that android will never be as smooth as iOS due to the way it was written in the beginning. These statements are coming from google programmers for crying out loud, and you still think otherwise? What's wrong with you? Android was written to compete with Blackberry, not with the iphone. Ami the one who really doesnt give a crap how android looks? I dont really care if the UI is smooth or not, as long as it works and does what i wanted to do. People also say that android is laggy, yes this is true if you have crappy hardware, but the 2 android phones i have owned havent lagged at all, and lag basically goes away when you run a custom ROM. You're not the only one. But there are many people who do, hence why a lot of non-techies will simply pick up an iPhone. Wait, you think non-tech people pick up the iPhone because Android lags. no, they pick up the iPhone because its all popular, shiny and made of glass.Also because its an Apple product. I don't know, but i feel the real OS Competition will start next year, can't underestimate Microsoft even though Android is very popular. What do you want with your OS? I agree with remixfa that each can only accomplish so much. I am a WP user, and love the smooth function. But do I have expandable memory? As many options to customize a keyboard if I am not crazy about mine? Flash? Nope. Android has so many options on so many price points you need to really understand what you want. I really, really enjoy my phone- I spent time trying everything out. But I know what my Focus S can and can't do. I do not think Google is making excuses- I think they are being realistic. 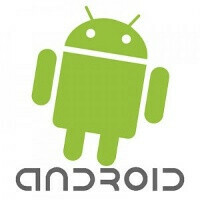 well its just like your pc hangs from time to time its hat.... android is powerful like pc!!! well on Android you need high end hardware to make up for Google's poor optimization skills, its a pity really and still doesn't work that well.But I still love Android because it offers complete customization, something which both iOS and WP7 fail at doing.There's so much to do on Android such as custom ROMs and so many features that you'll never get bored with your phone but this isn't everyone's thing and they simply choose the iPhone over a high end Android. Android does everything, but masters nothing. They want to be everything to everyone and it spreads them thin. My last 2 phones have been Android and my new phone that I'm getting tomorrow (Skyrocket) is Android, but that's because of the tech. I go where the hardware is, not the os. But I can guarantee that Microsoft will make WP a major player in the next few years. They're still building it up and already it can compete with both ios/android and they really know how to optimize software to fit the hardware. That's their thing... software. Google should hire Microsoft to optimize Android for them. I want to see phones at 60fps, not 30. Good response to article from Jr Software Engineer:https://plus.google.com/100838276097451809262/posts/VDkV9XaJRGS I agree with this guy 100%. Pretending that the Android UI is flawless is hidebound. I only own ONEAndroid phone so far. I dont have any problems. The best way to get one in my opinion is to wait for better hardware. Thats what I did when I bought mybAtrix came with Froyo and got the to date Gingerbread.